JUST CHECKING THE BOX ON A PCI COMPLIANCE PROJECT IS NOT A GOOD IDEA! ~Install and maintain a firewall configuration to protect cardholders data. ~Not use vendor-supplied defaults for system passwords and other security parameters. ~Encrypt transmission of cardholders data across open, public networks. ~Use and regularly update anti-virus software. ~Develope and maintain secure systems and applications. 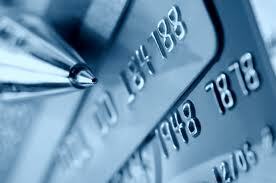 ~Restrict access to cardholders data by businesses need-to-know. ~Assign a unique ID to each person with computer access. ~Restrict physical access to cardholders data. ~Track and monitor all access to network resources and cardholders data. ~Regularly test security systems and processes. ~Maintain a policy that addresses information security.